The Splendor iSmart 110's biggest talking point will always be the fact that it is Hero MotoCorp's first all-new motorcycle. 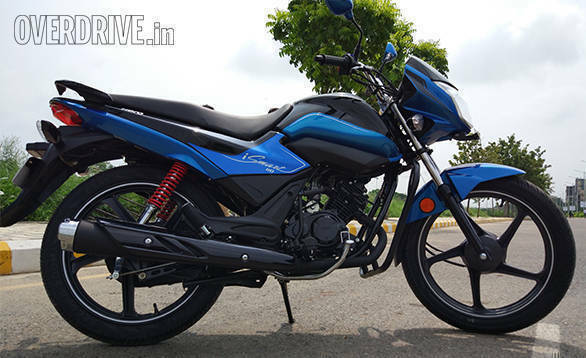 The Hero Splendor iSmart 110 wears a brand new engine in a brand new frame. The wrapper is an all-new design and it all comes from the Hero Centre of Innovation and Technology, Kukas. 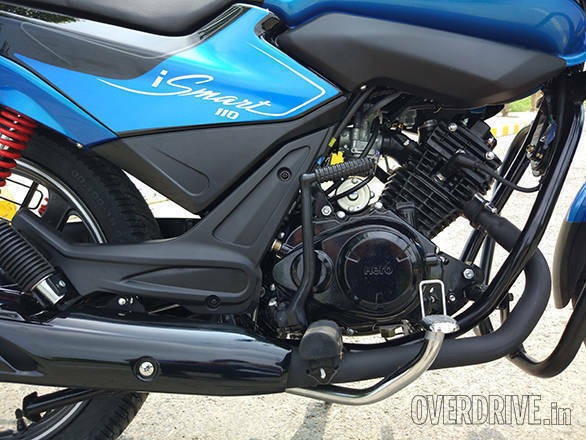 As a 110cc commuter with start-stop, the iSmart has a fairly humble task in terms of role. But as we have repeatedly seen manufacturers discover to their horror, the mundane nature of the commuter motorcycle's life is far from simple accomplish. There are severe problems to tackle, including a bargain basement price, minimal margins, sky-high expectations, frustratingly conservative buyers and, let's not forget, us enthusiasts who'd just rather turn a blind eye to this 70 per cent of the Indian two-wheeler market. You think making a 600cc motorcycle would make Hero sweat? You can bet that they sweated bullets over this wee Splendor 110. The challenge begins right at the beginning. The problem is that the commuter-class buyer doesn't like change. He doesn't want Hero to alter the Splendor at all. And while you can choose not to fix what isn't broken, progress is inevitable. Hero's new global product planning head, Malo Le Masson explained that the customers basically wanted more economy (as always). But they also expressed a need for a motorcycle that allows them to pack more in to the work day. Le Masson contends that implies an expectation of better performance and better comfort so that more trips in the work day could be completed, for example. That leads directly to the new 109.51cc engine. It's a simple engine - carburettor, two valves - nothing exotic. But Hero raised compression to 10:1 (Passion Pro is 9.0:1 and iSmart 100 is 9.9:1) to extract more performance as well as economy from the engine. Peak power is now 9.52PS at 7,500rpm but the story of the engine is torque. It peaks at 9Nm at 5,500rm but Hero says they designed the torque curve to be flat and from 3,000rpm it nearly is. On the road, this is noticeable easily. The Hero repeatedly started off happily in second gear (I blame the all-up shift pattern and my poor counting skills). Acceleration is effortless, if not thrilling, to about 70kmph. My test bike happily swung past 90kmph in the limited space I had. 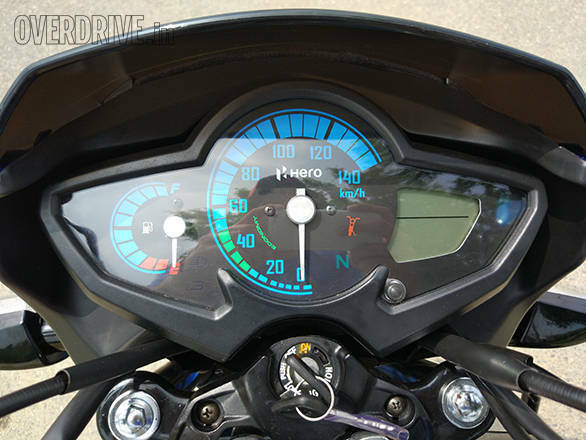 Hero claims top speed in 87kmph and 0-60kmph should take 7.45s. I rather liked the refined, effortless feel of the engine. Vibration even maxxed out is minimal. Economy, says Hero, is 65kmpl in the real world. That's good feelings and good numbers overall, which makes me look forward to the road test once the test bike arrives. In step with the engine is an easy-shifting four-speed gearbox and a light clutch. Frankly though, the torque is abundant and you can rapidly slot in top gear and trundle along with a fair spring in your step. I managed to run the motorcycle smoothly at as low as 25kmph in top gear without hiccups. As I've noted before, start-stop systems and manual transmissions live in an unfriendly marriage. The Hero i3S system is functional but cannot offer the same intuitive simplicity of a start-stop on an automatic transmission. The issue is with the rider having to select neutral to get the system to work. To avoid issues, Hero uses a 5s delay before the engine cuts out. And then when you pull the clutch in, the engine starts immediately and you're off. The system works well enough and should produce economy benefits when used regularly and consciously. The engine is placed in a new double cradle frame. 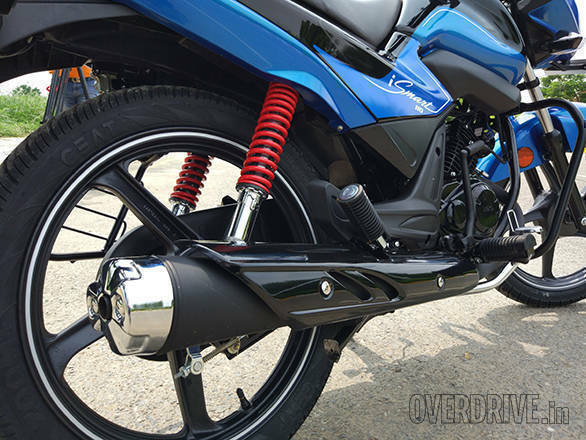 Hero says the vertical orientation of the cylinder produces numerous benefits. The first is that the cylinder presents more surface area to the incoming air so cooling is more effective than it was on the horizontal cylinder. 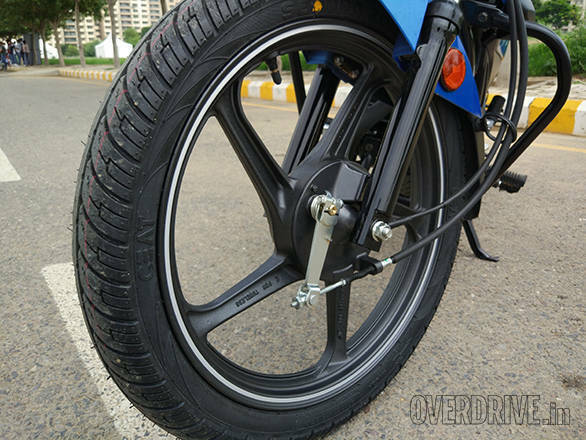 Next, the upright cylinder has allowed Hero to lower the centre of gravity as well shorten the wheelbase (20mm compared to the Passion Pro). The only loss are the storage boxes under the tank which are replaced by matte shrouds that hide bits including Euro4 compliance equipment. The suspension is basic - skinny telescopic forks up front and twin pre-load adjustable shocks at the rear. But Hero's revised the springs for a better ride. I rode roughly 35km in a very tight space and I can say that the Hero Splendor iSmart 110 promises a controlled, supple ride. But I don't know enough to know if it will be the best of the segment or not - but I wouldn't bet against it. Handling, similarly, is responsive and neutral and I rather enjoyed the iSmart 110. The corners on our test course were covered in dust and I found surprising grip in the Ceat Secura Zooms that my test bike was wearing. 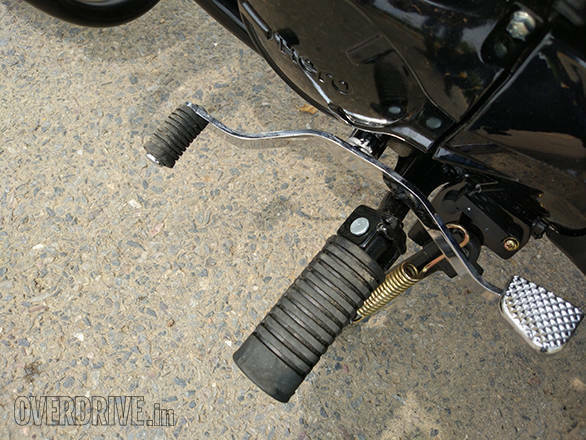 It made me appreciate the fold-up foot pegs which should allow properly hard cornering when the test bike comes. Yes, I know that the Hero Splendor iSmart 110 is not required to corner like a demon but hey, a road test is a road test. The brakes are another example of segment's conservatism. The Hero Splendor iSmart 110 (anyone else think that's an unwieldy moniker?) has a 130mm drum up front with a 110mm unit at the back. Braking is adequate. The bike stops rapidly but the brake lever comes all the way back to the grip and I cannot help but hope that a disc brake version arrives later. 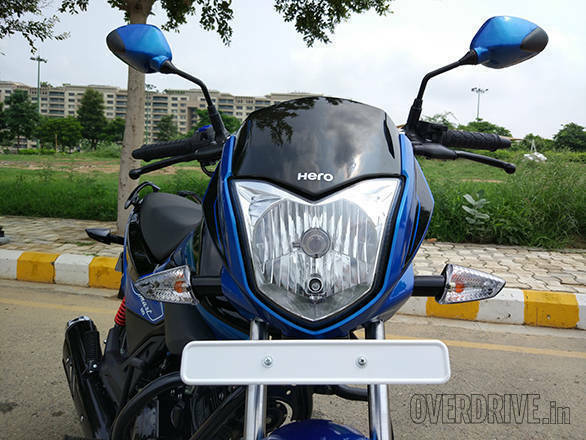 Hero officials were noncommittal although news stories later alleged that the Hero Splendor iSmart 110 Disc would arrive before the festive season. Hero's first all-new motorcycle is now on sale across India. The price is just over Rs 53,000 ex-showroom all over India. At that price it competes with, among others, the Honda Livo. 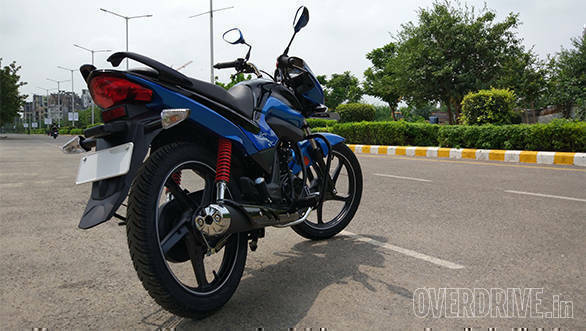 My short taste of the iSmart 110 suggests an effortless 110cc motorcycle that is certainly well-equipped to do battle. Will it emerge on top? That's a story for another day - I cannot wait for the test bike to arrive.